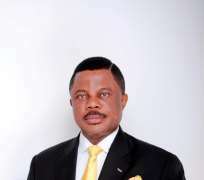 The APGA Governorship Candidate, Chief Willie Obiano said the success of the Governorship election was a watershed and pointer to greater and brighter future for the State, Chief Obiano was speaking to journalists at his home town of Aguleri yesterday. Chief Obiano said the outcome of the election had confirmed that people of the State could forge a common front and take their destiny in their hands. He noted that the electorate had made a strong statement through the decision to vote massively for a candidate of their choice. The APGA Candidate said the election was free and fair and thanked President Goodluck Jonathan for providing the a conducive environment, and INEC for offering a level playing ground for all political parties as well as security agencies for maintaining law and order. He equally thanked the people of the State for their orderly conduct during the election and for giving him massive support and APGA for finding him worthy to fly its flag. Chief Obiano enjoined areas involved in the coming supplementary polls to participate actively and ensure peaceful conclusion of the exercise.